IM SO AMAZED ME AND MY PARTNERS IVORY SERRA AND ANDRE RAZO DID IT.... SO STOKED,EXCITED AND VERY THANK FULL TO EVERYONE THAT HELPED US GET HERE. 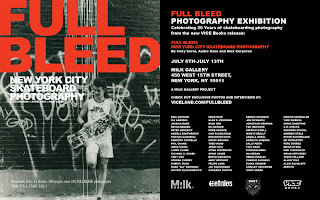 WHENEVER YOU HAVE THE CHANCE SWING BY MILK STUDIOS AND CHECK OUT THE EXHIBIT. WERE HAVING THE BIG PARTY NEXT WEEK AT MILK AND BOOKS WILL BE AVAILABLE FOR THE NIGHT OF THE 13TH.